Small homes present unique challenges in every room. How do you make storage space in your bedroom? How do you make a tiny lobby welcoming? Are dark colours and distinct furniture always a disaster? Can you make small dining areas stylish? In this ideabook we'll tackle these small home concerns and give you some simple solutions. At homify, we've curated some of the best small homes to inspire you! It can be hard to envision the entrance of your home as a welcoming space when you're immediately confronted by a wall or a closet door. 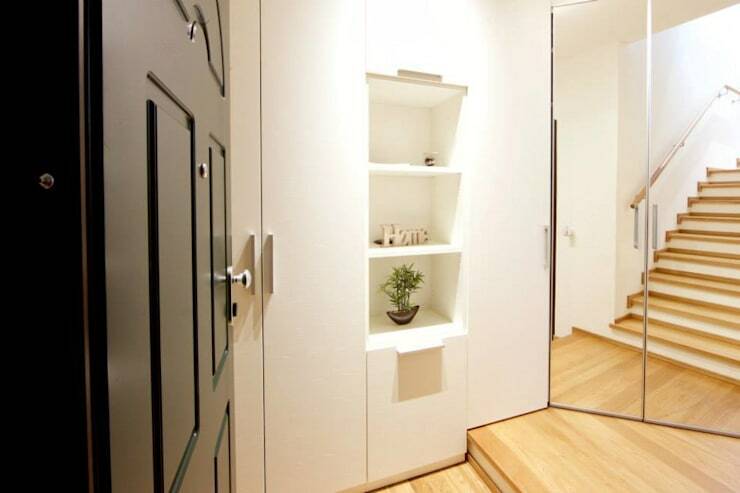 A simple solution is to install a mirror across from the door, or as the closet doors, to amplify the space and make it seem larger. The recessed shelving in this entryway is also a brilliant idea, because it gives guests a place to tuck their mittens but it doesn't take up any precious floor space. If you're fond of dark statement walls, but afraid to try them in small rooms, consider this your official permission to give the style a try. When black, or dark, walls are done correctly they can make a huge statement in any space. 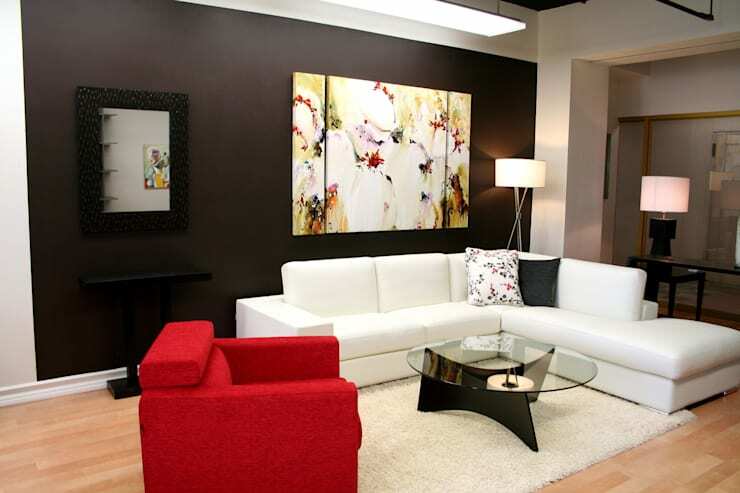 Try limiting yourself to one dark wall at first, and pair it with some bright and vivid furniture. Light wall art can also help to prevent the dark wall from being too overwhelming. This little living room pulls it off, with an amazing bright red couch too! 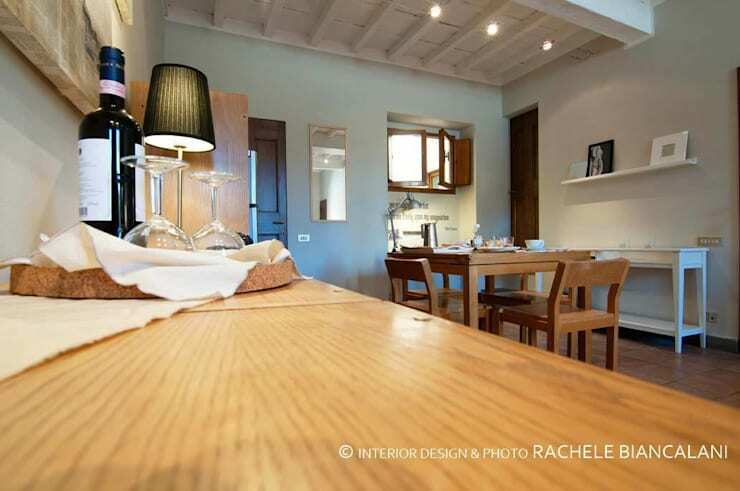 Many people whose kitchen and dining spaces are close together try to separate them with walls. However, this usually makes each space hard to maneuver in and cramped. There are better ways to make these two spaces feel distinct, including using different flooring, or different ceiling textures like in this lovely kitchen. On the other hand, you could just lean into the practicality of the eat-in kitchen and use the same textures and colours in both. 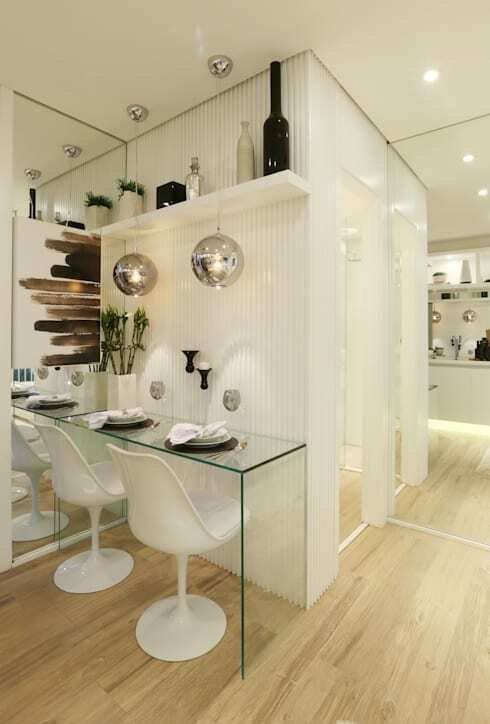 There are some amazing eat-in kitchens on homify that will inspire you to make the space work. Small bathrooms are notoriously hard to fit shelving in. 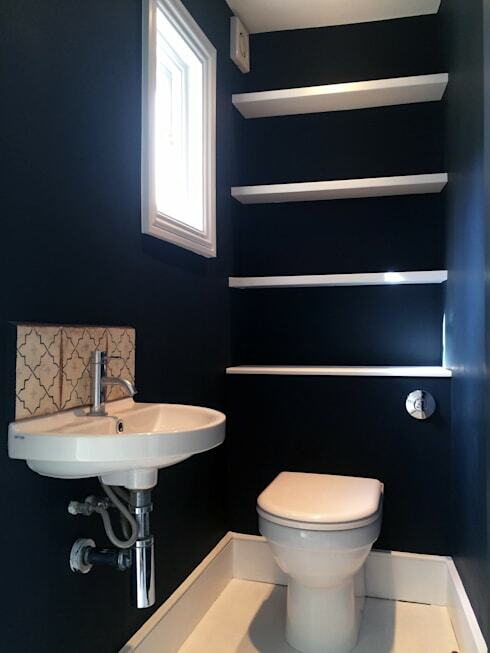 This bathroom has a lovely solution, place all of the shelving above the toilet! As long as the toilet is pulled forward form the wall you won't be in any danger of hitting your head against the shelf. This way, other wall space can be better used for windows and towel racks, items you certainly couldn't have directly above the toilet. No one likes the cluttered look of mismatched items all piled beneath the bed, but its a tempting solution in a small bedroom. Instead, invest in some well-made and beautiful boxes that can keep the bed space feeling orderly. Contact a carpenter to get some specially-made boxes in a lovely wood finish. Alternatively, you can even purchase some beds that have built-in storage space underneath. This little breakfast nook achieves the feeling of a dramatic dining room in a tiny space. The thin glass table does a lot of the work, keeping the chairs close to the wall to preserve space, and allowing you to see the wall behind the table to prevent the space from feeling cluttered. The shelf above the table works to give the space a tiny roof and make it feel distinct. The designers have also taken the shelf as an opportunity to put in some lovely metallic balls that mimic dining room chandeliers without the need for electrical wiring in the shelf. For some inspiration on how to make your small space bright, take a peek at this amazing renovation of a tiny apartment! Which of these small space solutions is right for your home? Let us know in the comments!